Private waterfront retreat! Check out gorgeous Golden Eagle built Full Log Home situated on 3 wooded acres with 150 feet of beautiful frontage on the north shore main channel of the Big Eau Pleine Reservoir! 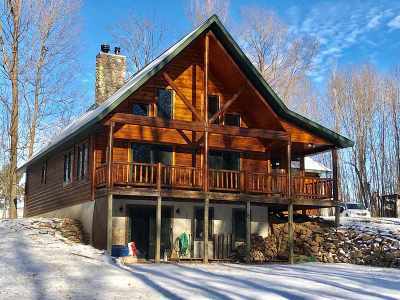 Live like you're on vacation everyday, in your own log cabin retreat!! Located on a dead end road in a prime recreational area with 2 no-charge cemented boat landings within 1 mile and bait available at a nearby bar.